The 1970s TV show Happy Days ran from 1974 right the way through to 1984 and it depicted a 1950s that we would all have wanted to live in. The show was originally focused on the Cunningham family, The Fonz was originally just a secondary character, but, as the character of Arthur Fonzarelli, played by Henry Winkler, became more and more popular, his story lines got bigger and, eventually, it was the Fonz who was the main character in Happy Days, the one who got top billing, and the one who best remembered. 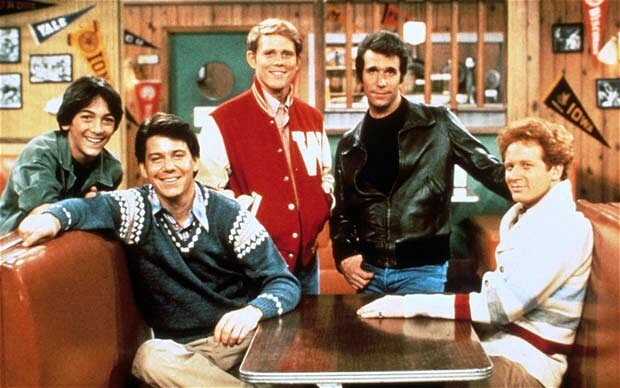 Even though Happy Days was set in 1950s America and it bore little resemblance to life in 1970s Britain, it was extremely popular in the UK and The Fonzie became the personification of cool to British Teenagers. 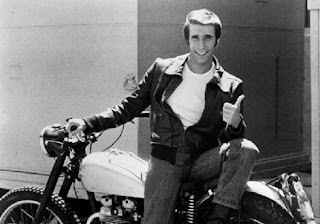 If anyone ever did anything vaguely cool at school, they’d always get a resounding Fonzie style “Ayyyyy” from the rest of the class. So, in honour of an American 1970s TV classic, here are ten fun facts about Happy Days. Fonzie’s trademark leather jacket didn’t make an appearance in the first few episodes of Happy Days, because executives at ABC thought it made the character look like a hoodlum, so The Fonz wore a, rather boring looking, windcheater instead. The creator of the show, Gary Marshall, eventually convinced them that, for safety reasons, Fonzie should wear a leather jacket in any scenes that included a motorcycle. After they had agreed, Gary Marshall insisted that there would be a motorcycle in every scene that Fonzie appeared. When The Fonz became the most popular character in the show, he got to wear leather jacket full-time. The drummer of the Monkees, Micky Dolenz, was originally the favourite to play the part of The Fonz. Henry Winkler thought that he had no chance of winning the part over Micky Dolenz, but the producers chose Winkler, because they thought that, at six feet tall, Dolenz would tower over Ron Howard, who played Richie Cunningham, and the pair would not look right together. 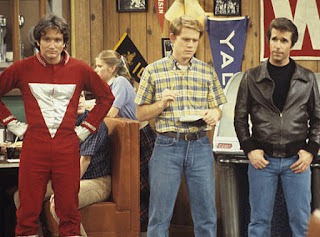 In the episode “My Favourite Orkan” an alien called Mork, played by the then unknown Robin Williams, abducted Richie Cunningham and, of course, the character of Mork later reappeared in Mork and Mindy. The reasons that an alien suddenly appeared in Happy Days at all, was because Gary Marshall’s son asked his father to make a “Martian episode” of Happy Days after he had watched Star Wars at the cinema. The theme tune for Happy Days was originally ‘Rock Around the Clock’, by Bill Haley and the Comets. The first ever episode of the show used the original recording of “Rock Around the Clock”, but Bill Haley recorded another version especially for the show that was used for the remainder of the first two seasons. The “Happy Days” song, which was written by Norman Gimbel and Charles Fox, was only originally used for the closing credits. Tom Hanks appeared in the 1982 episode of Happy Days entitled “A Little Case of Revenge”. 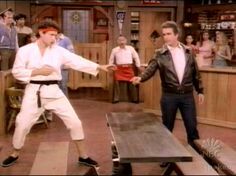 He played a karate master who was looking to get his revenge on Fonzie because he had a grudge that went all the way back to third grade. This was the first ever time that anyone had been seen actually hitting The Fonz. In his book, ‘Wake Me When it's Funny ’, the creator of Happy Days, Garry Marshall, explained that the title of the show was originally “Cool”. That name didn’t go down well with test audiences, though, who thought that the show would be about Eskimos or about people who smoked. 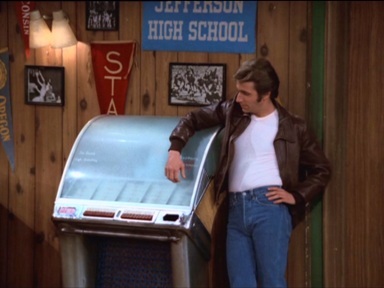 To save a few bucks on royalty fees, the jukebox in Arnold’s, the one that Fonzie could so coolly start by thumping, often didn’t play originals. Instead, it played versions of the songs that were sung by Anson Williams, who played the part of Potsie. It is common knowledge now that Henry Winkler is dyslexic, but he wasn’t diagnosed with the disorder until he was 31 years old. When he auditioned for the part of Fonzie, he couldn’t read the lines he was given so he made it up. He told the producers that he was giving them the essence of the character and promised that he would say all the right words if he got the part. Winkler has since co-authored a series of books for kids, The Hank Zipzer Collection , about living with dyslexia. 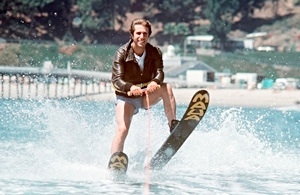 Henry Winkler was a very good water skier, which is partly what inspired the writing of the episode “Hollywood: Part 3," in which The Fonz appears to do a water ski jump over a shark. Although Henry Winkler did do all the other water skiing shots in the episode himself, a stunt man did the big jump. The episode was seen by many to be the point at which Happy Days lost its way and went into decline and, since then, the term “Jumping the Shark” has been commonly used to describe a TV show that has gone past its prime. The original idea that the studio had, was a sitcom set in the 1920s or the 1930s, but when they approached Gary Marshall, he said that he knew nothing about that period, but he could write about the era that he grew up in, the 1950s.His original pilot was centred around a family who had just bought the first TV in their neighbourhood, but that flopped, so he came back with the idea for Happy Days. If you liked this post; please do share it with your friends on social media. Thanks!